All who knew Gordon Foster Oswalt and his contagious zest for life would agree that there was no one quite like him. Quiet and strong, he was a hardworking man, deeply devoted to his family, friends, and community. Life will never be the same without Gordon here, but he leaves behind a colorful mosaic of memories that his loved ones will forever hold dear. 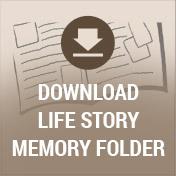 During the 1930’s, there were few American families who didn’t feel the strain of the Great Depression. The Brady Township farm of Foster and Marian (Merrill) Oswalt was no different. Despite the hardship around them, Foster and Marian eagerly welcomed Gordon Foster on June 23, 1935 and several years later welcomed his younger brother John. Together these brothers learned lessons in honesty and hard work which became a strong part of their character. The brothers maintained a close relationship until the end of Gordon’s life. Gordon and Bonnie (3rd generation farmers) later raised their own children on the same farm. In many ways Gordon was a young boy of his generation. He loved being outside whenever he could and was active in the local 4-H. Gordon attended the Harper School, their neighborhood country school. Later, as a student at Vicksburg High School, he was active in baseball, football, basketball, and the FFA. 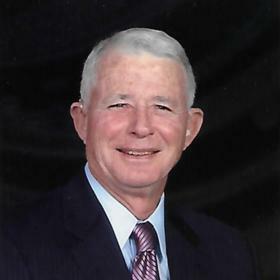 After graduating from high school in 1953, Gordon attended and graduated from Michigan State University where he was active in livestock judging and the Alpha Gamma Rho fraternity. During his days at MSU, Gordon’s was introduced to the young woman of his dreams, Helen E. “Bonnie” Axford. In 1955, Gordon and Bonnie met while riding the Brown train as it transported MSU students to the Rose Bowl. Bonnie took an empty seat next to Gordon as her friends began a bridge game, and from that day forward she always occupied that seat.  Throughout their 60 years of marriage, they exemplified what a strong marriage can be. 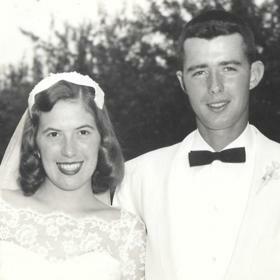 Gordon and Bonnie exchanged their vows on June 28, 1958. Together they welcomed five children including Kathleen, Scott, Steven, Daniel, and David into their hearts and home. 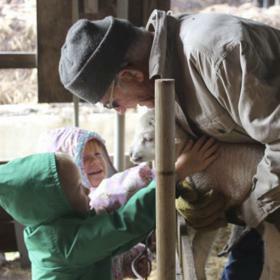 Gordon was an active part of his children’s lives and fostered their love for the land and the farm. There was no greater gift in his life than the family that grew to include the grandchildren and great-grandchildren he adored. Gordon and Bonnie hosted hundreds of MSU Vet Students and a very special German student, Andrea (Rainer) Ochmann, who has returned throughout the years to visit the family home. A lifelong resident of the community he loved, Gordon was involved in many groups and organizations. He was a member of the Vicksburg United Methodist Church and a member of the Vicksburg Rotary Club since 1968. He was a regular cast member of the annual Showboat and a Paul Harris, the highest honor a Rotarian in Vicksburg. He was also given the “Hero” award for his many activities within the club during his many years as a member. He served on many local boards and committees, including the Vicksburg School Board and Brady Township Zoning and Planning Committees. Gordon was a member of the Michigan Farm Bureau, Michigan Sheep Producers, Michigan Cattleman Association, and the American Angus Association. He was on the Farm Credit Services Board of Directors and past chairman of the Kalamazoo Conservation Board. He was a 4-H leader and part of a bridge club. In addition to playing cards with pitch buddies and reading, he loved watching the Detroit Tigers and following his Michigan State Spartans. 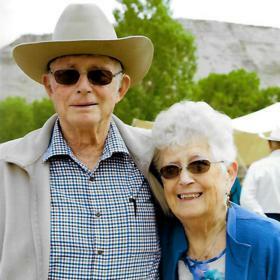 With a life that spanned times of war and times of peace, times of plenty and times of want, Gordon Foster Oswalt was a blessing in the lives of those around him. He was a humble man with a huge heart and a gentle spirit. He will never be forgotten. Gordon Foster Oswalt, of Vicksburg passed away surrounded by his family on Monday, August 20, 2018 at the age of 83. Gordon’s family includes his wife, Bonnie; children: Kathleen (Dennis) Forsythe, of Vicksburg; Scott (Sheryl) Oswalt, of Vicksburg; Steven (Kim) Oswalt, of Vicksburg; Daniel (Kelly) Oswalt, of Vicksburg; David (Dao) Oswalt, of CO; grandchildren: Amanda (Matt) Nixon, Elizabeth (George) Palat, Andrew Forsythe; Allison (Luke) Boyea, Cameron (Jess Crittendon) Oswalt, Joseph Oswalt, Taylor (Austin) Eaton, Megan (JT Neal) Oswalt, Emily (Andy) Foster, Katie (Derek) Debiak, Gordon Oswalt, Alyson Ly, Jeff Smith, Marlena Smith; five great-grandchildren: Caleb and Chloe Nixon, Grady and Adelyn Mae Foster, and Rylee Eaton; one brother: John L. (Linda) Oswalt, of Vicksburg; and many very special nieces and nephews and dear friends. The family will receive friends on Friday from 4- 7 p.m. at the McCowen & Secord Family Funeral Homes, Rupert-Durham Chapel. A memorial service will be held on Saturday at 1 p.m. at the Vicksburg United Methodist Church, with family greeting friends one hour prior to the service as well. Officiating the service will be Reverend Greg Culver. Burial of Gordon’s ashes will be held privately at the Vicksburg Cemetery. 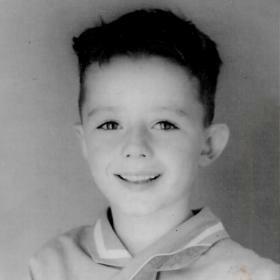 Please visit Gordon’s webpage at www.mccowensecord.com where you can sign the guestbook and share a memory and/or photo. Those who wish may make contributions to the Vicksburg Community Schools Foundation c/o the Oswalt Family Technical Scholarship, Vicksburg United Methodist Church, and/or the Kalamazoo Gospel Mission.